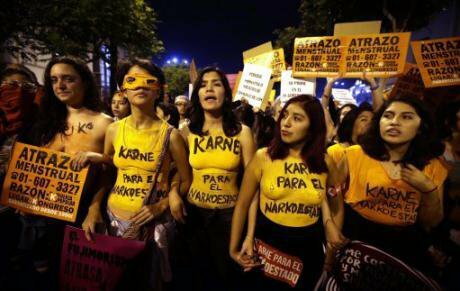 In Peru it was believed that it was very close to – in reality, it was very far from - drawing a line under a disastrous past represented by fujimorismo, when, in 2000, thanks to pressure from civil society, the country turned towards democratic institutionality. This was after an authoritarian and corrupt, politically obscurantist project was imposed on its citizens during the government of Alberto Fujimori (1990-2000), and they were profoundly hit by the violence of terrorist organisations (the Communist Party of Peru - Sendero Luminoso (PCP-SL), the Revolutionary Tupac Amaru Movement (MRTA) and that of the armed forces, during the 1980s and 1990s. But as the passing of time shows, the country did not carry out the necessary debate about what it meant to build an inclusive, demanding and open society. Doing this properly would have involved laying the foundations of basic democratic procedures so that just and fair competition in elections was possible. It meant, also, facing the fundamental challenge of strengthening the rule of law. On the contrary, given the weakness of inherited constitutional legality and systematic abuse, institutional passivity and arbitrariness of public/private powers persisted openly. What's more, the country was governed under a constitution in place since fujimorismo, bringing about manoeuvrings both socio-political– the instrumentalisation of democracy to entrench authoritarian ends in the long-term– and economic– neoliberalism, with a vocation contrary to all social agenda, without its premises and implications being called into question. "For many, restoring democracy was only restoring democratic procedures, restoring fair elections: a National Jury and ONPE [Oficina Nacional de Procesos Electorales, National Office of Electoral Processes] that guarantees a minimum of procedures in place. But the set-up that fujimorismo brought about was left intact ... they left it there. [The presidents that emerged after the transitional government of Paniagua (2000-2001): Toledo, Garcia, Humala] governed with that, they governed with its Constitution [of 1993]. That is, the Constitution born of the coup, the Constitution that enshrined the grounds for forced sterilisations, mass dismissal of workers, [they kept] that Constitution. They took it upon themselves successively to say that this country was advancing because it had a neoliberal constitution and because that model mustn't be touched. Remember in 2000 there was a discussion about... careful, don't touch the model! ... the economic model remains as it is, it is only democratic institutions that need to be restored”. Genuinely dismantling this sinister and regressive project required, at that time, greater responsibility given that freedoms that are truly incorporated into the political system cannot safeguard themselves, nor is discursive support enough, even if it is initially enthusiastic. In reality, the strength of the most divisive inertias, conformism, an inability to settle leadership and visions that translate commitments into active projects, the slipping of the elites - considered allies and progressives - into petty, narrow and particularistic positions; in short, a range of conditions contrary to the change that was aimed for in the beginning cut short those aspirations, making this moment of opportunity seem little more than a sigh, something romantic and epic in Peru's recent history. Evidently, there are elements that lead us to consider that not everything was negative. Some achievements and conquests (despite their modest character) are recognisable. Among others, the following stand out: the demands, efforts and actions that led to the Comisión de la Verdad y la Reconciliación (Truth and Reconciliation Commission, CVR), the subsequent reforms that were then partially realised; the prosecution of relevant cases, resulting in sentences for some of them, after serious and well documented investigations; the symbolic vindication of the victims - for example, through public hearings -; and reparations (although yet to materialise) for them. It was also essential to have emphasised the transgenerational fostering of a political and legal memory about what happened in those dark days. But it was not understood that an internalisation of those critical factors –only a critical historicising could impel this– cannot come about spontaneously: a systematic educational effort is necessary to forge a true democratic culture among citizens. If to this is added the fact that fujimorismo has been reinvigorated as a political force since 2000, its discourse actively reinjected into society, strengthening and persisting organisationally in significant segments of the population that now support the candidate Keiko Fujimori– together with the collapse of party system (see the statements by political scientist Steven Levitsky),– without she having disassociated herself from the former or renewed form of fujimorismo as they falsely say she has done now, the result is a fertile ground for a menacing and disturbing authoritarian drift. But it does not seem that, while having become aware of the pitfalls, amnesias and omissions committed up until the present time, that now a path in the right democratic direction will continue to be followed. To assume so would be not only very ambitious and optimistic, but in fact very naive and precarious. It will require a deeper institutional, cultural and civil maturity. However, there is something that, during the second round of the presidential elections of 2016, can be assumed realistically: it is that we must try to slow or stop a project that threatens to subvert the democratic institutions that required so much to recover (as precarious as they may be). It is about reversing the trend towards a freedom-destroying and obscurantist scenario - like that that is today creeping towards us - and opening one where democratic conversation is based on a terrain that is pluralist, open and promising. Ex-President of Peru, who is currently imprisoned for 25 years for human rights violations and corruption.